South from Bude return along the Bude Canal. Route. 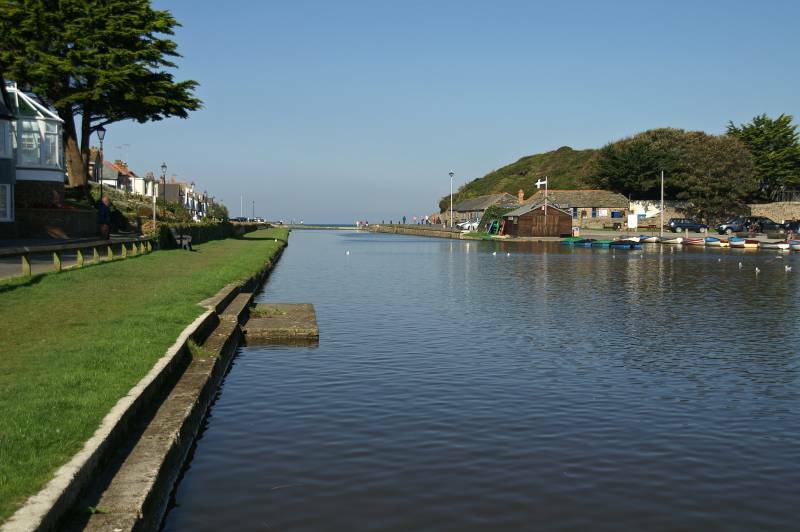 Bude Tourist Information Centre - Compass Point - Efford Beacon - Phillip's Point - Salthouse - Widemouth Bay - Salthouse - Bude Canal - Bude Tourist Information Centre. Notes. The time had come to stretch the calves and pump the lungs, it was time to head out high above the Atlantic Ocean. 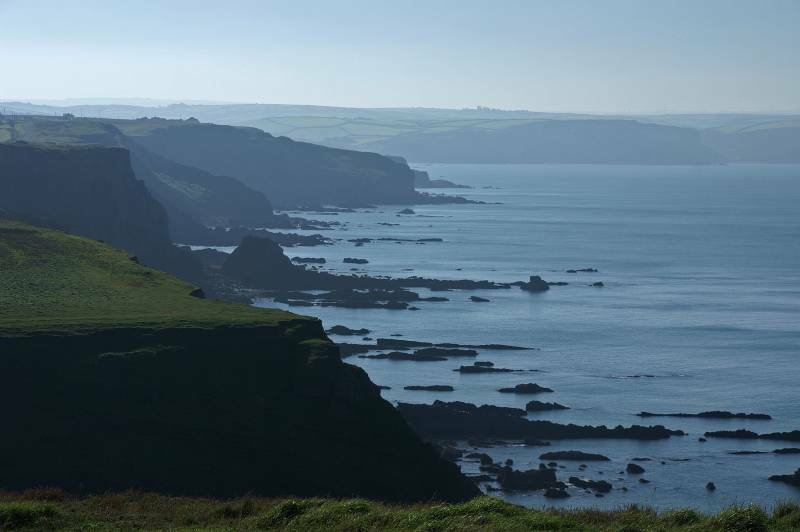 The South West Coast Path is well publicized, it was our turn to have a small nibble out of this 630 mile long distance footpath, a nibble being the appropriate word, the stretch we walked was the three miles between Bude and Widemouth Bay. 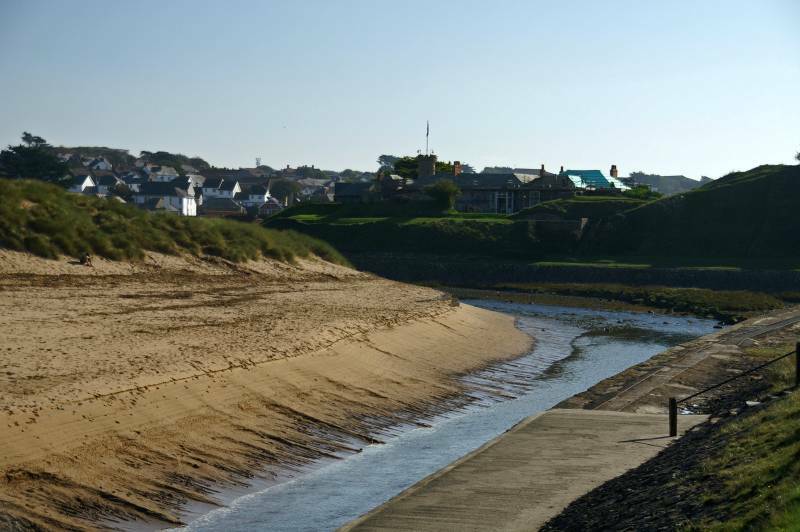 We followed the now familiar path along the edge of Bude Canal before ascending the steep path to reach the tower known as Compass Point. From the tower the climb continued, we were soon standing at the trig point and view indicator on Efford Down. 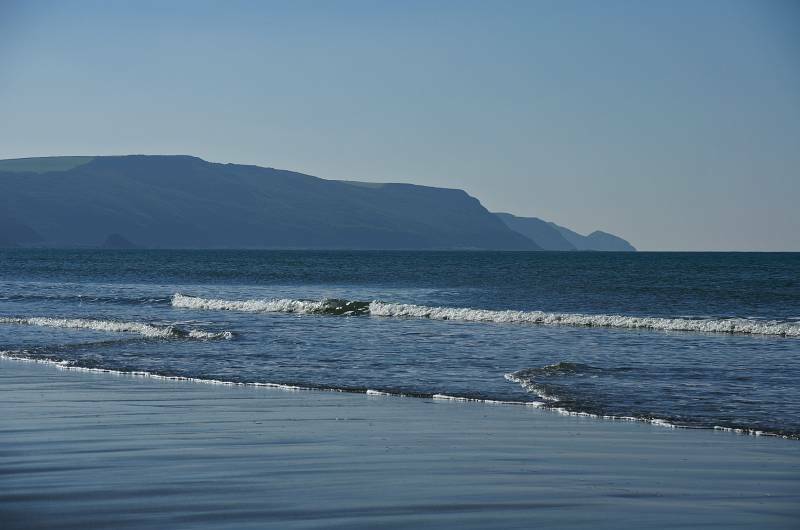 Our path now clung to the cliff edge passing Phillip's Point, Higher and Lower Longbeack before descending to the wonderful sandy beach at Widemouth Bay. It was time to turn our backs on the sea for today, we re-traced our steps to the Salthouse passed on our descent before crossing the main road. A way-marked path lead through fields in various stages of cultivation, after descending through a corn field we stepped onto the canal tow path, all that remained, a pleasant level stroll along the line of this tastefully restored canal. 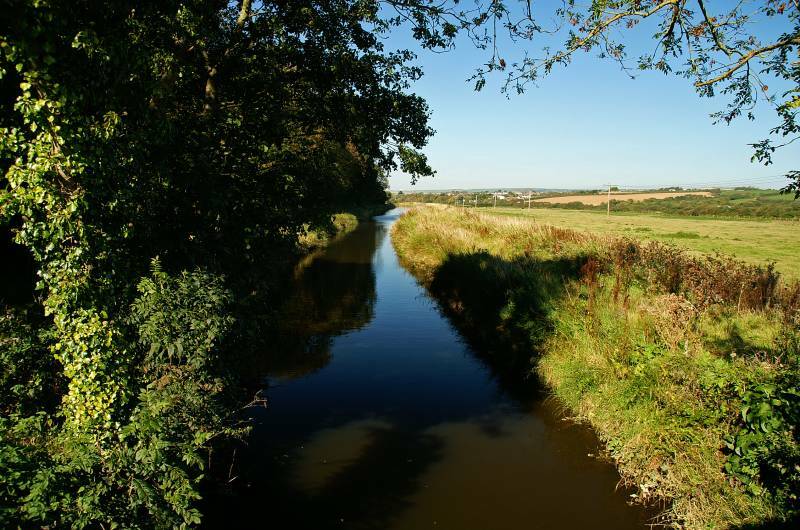 The Bude Canal stretched 35 miles from Bude to Holsworthy and on to Launceston, the coming of the railways drove the final nail into the coffin, the canal closed in 1891, the Port of Bude remained in commercial use until the 1930's. 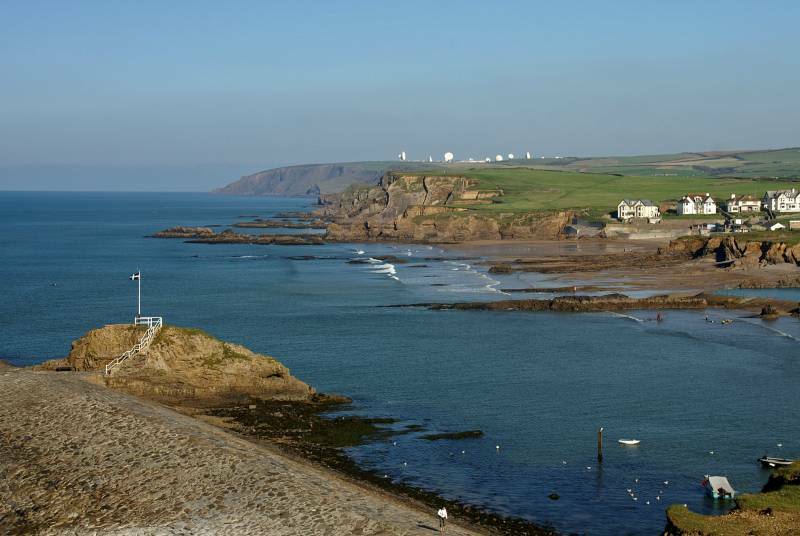 Looking to Bude Breakwater, originally constructed to protect the sea locks from the full force of the Atlantic Ocean. Seen over the River Neet, Bude Castle. Ascending Compass Point with views over Summerleaze Beach as far as the radar dishes at Coombe. 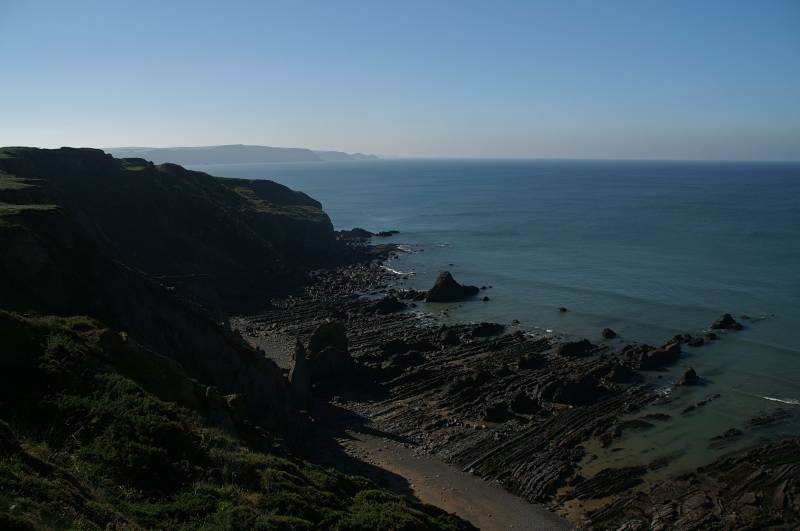 Standing above the cliffs on Compass Point with a stunning view to the south for company. 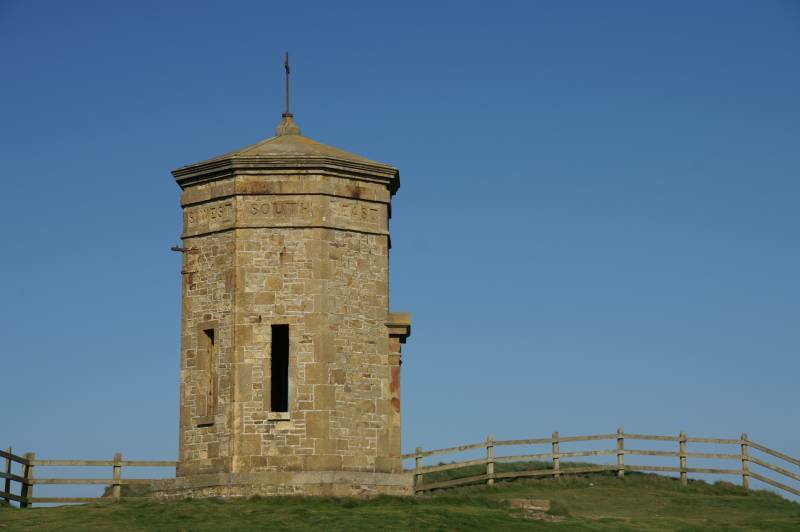 The tower that gives Compass Point it's name, this former coastguard lookout station was built by the Acland family in 1840 based on the Temple of Winds in Athens. 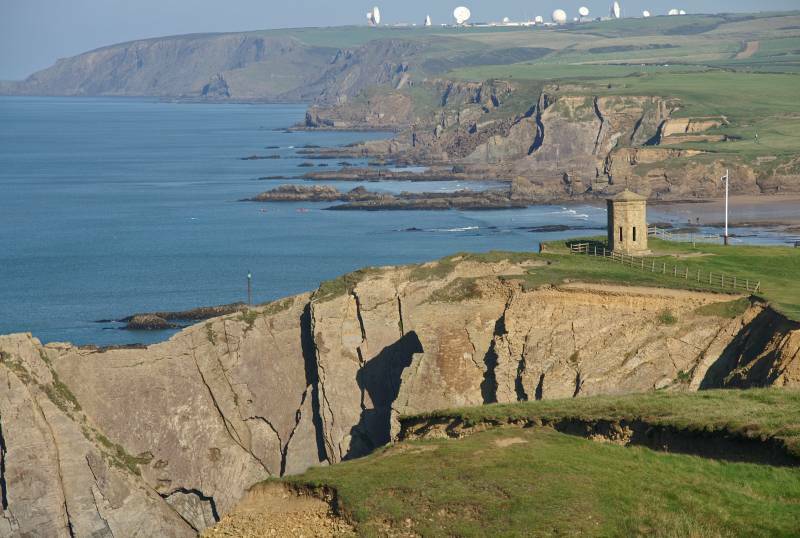 Seen from the summit of Efford Down the tower backed by the cliffs north of Bude, decorated with the radar dishes above Coombe. 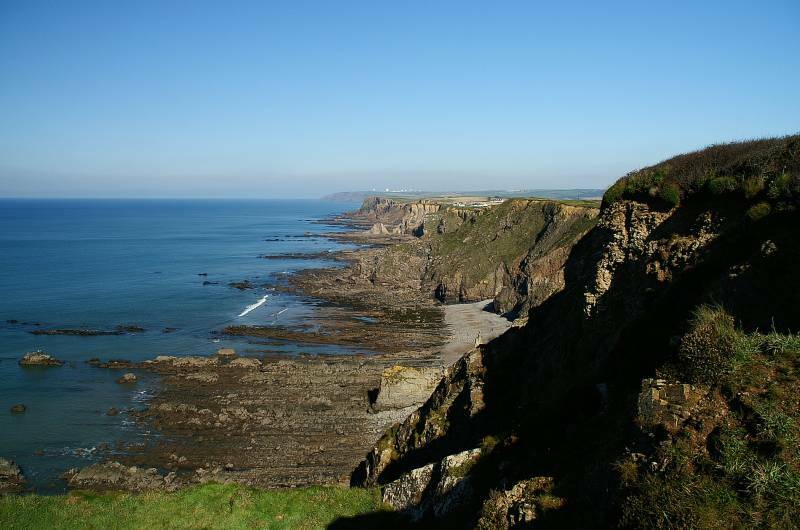 Our route ahead, an airy cliff top walk with wonderful views. 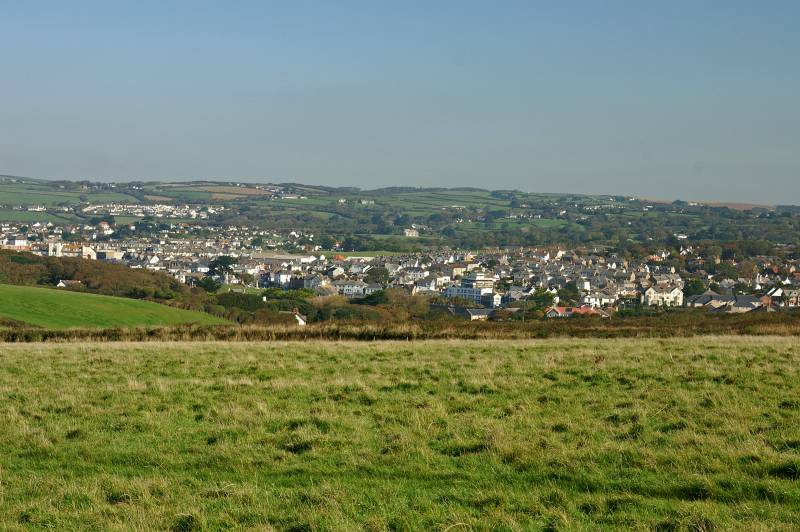 The white washed buildings of Bude seen over Efford Down. 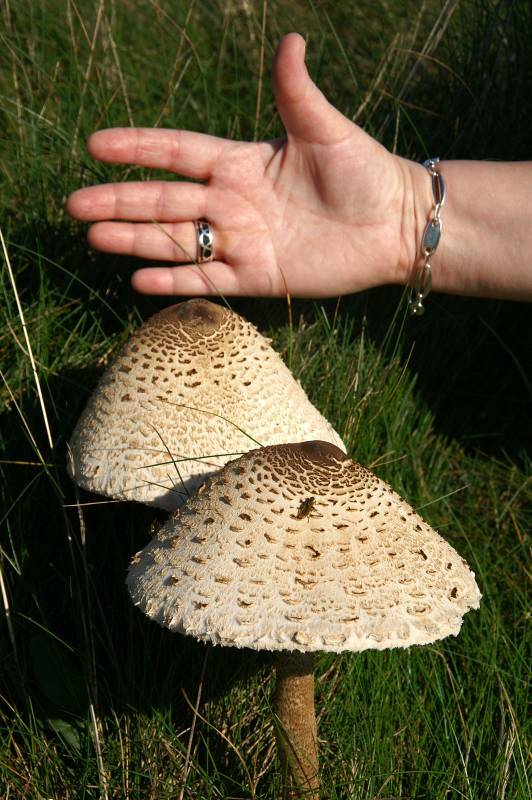 Parasol=Macrolepiota Pocera backed by the right hand of the genus Homo Sapien Susan. 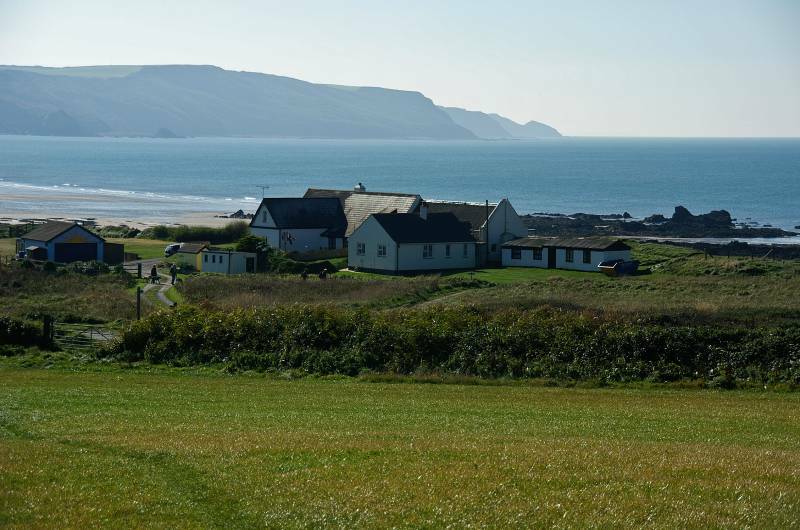 Views along the coast including Lower Longbeack and Widemouth Bay..
On Lower Longbeack with a wonderful view back along the cliffs. 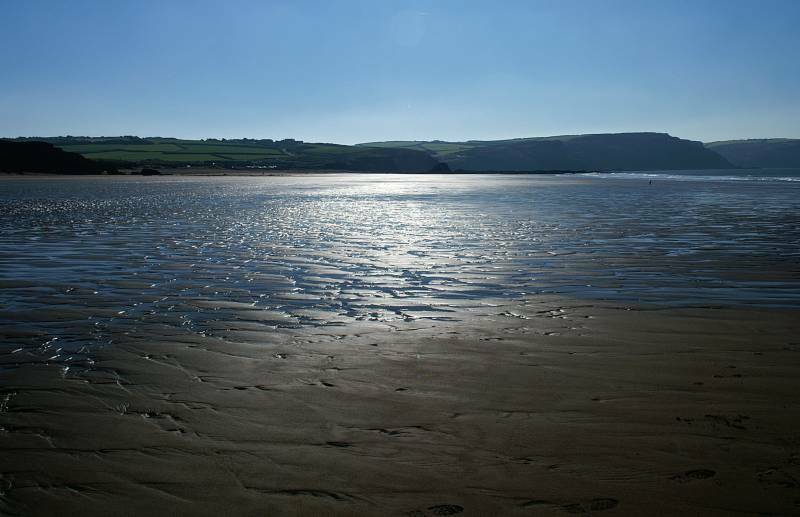 Looking down on Widemouth Sands. 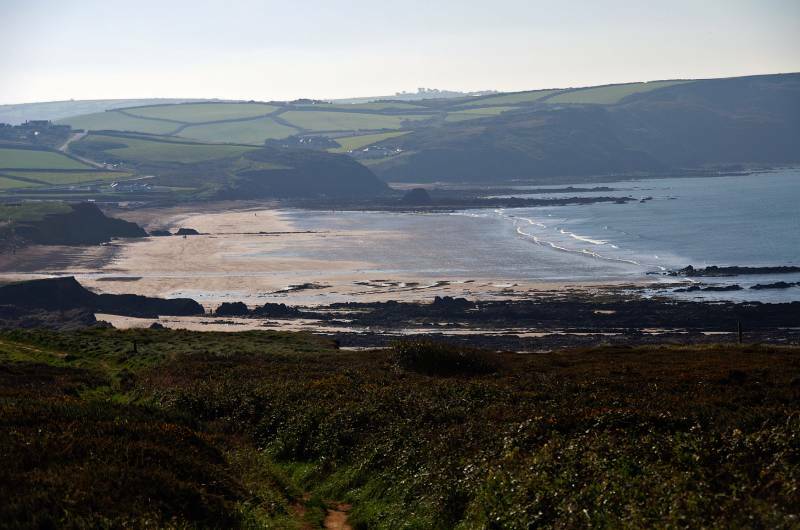 Widemouth Bay was slightly off our route but who could resist the magnetic draw of this wonderful sandy beach, as brew stops go this was No 2 on the North Cornwall coast, we did find one better. 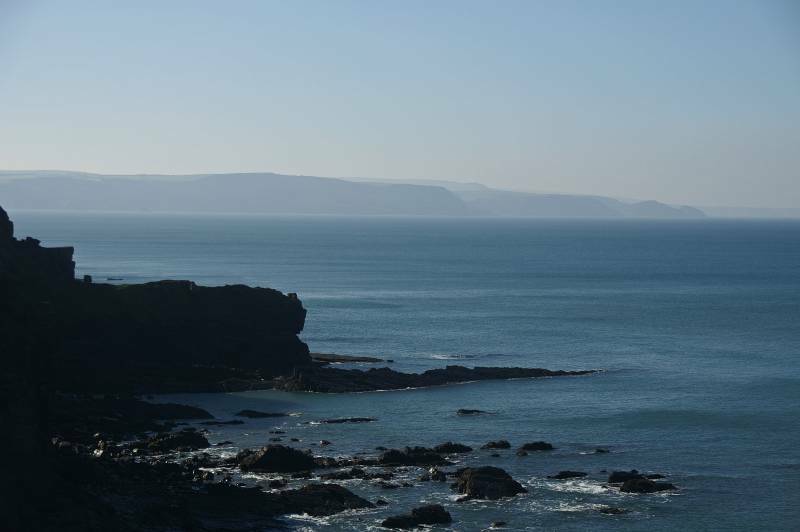 The wonderful view across Widemouth Bay, the far headland being Tintagel Island, in front of that the cliffs that guard the entrance to Crackington Haven. Looking to the Salthouse, as it's name would suggest it was once a salt store, now a tastefully converted holiday home. 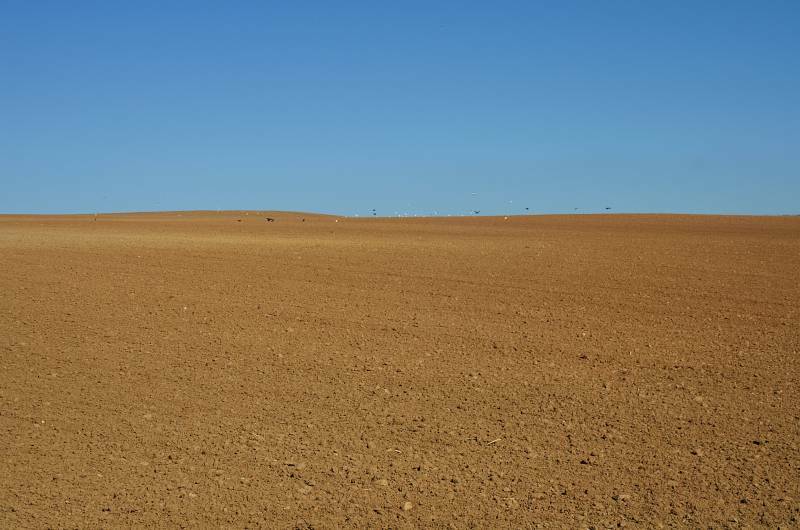 All ready for next years crop. 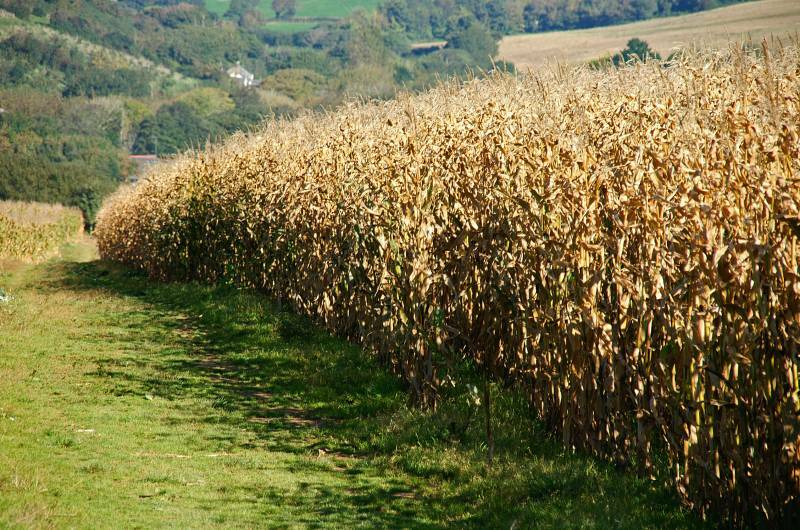 We descended through this corn field, I'm of the opinion this should have been harvested weeks ago. 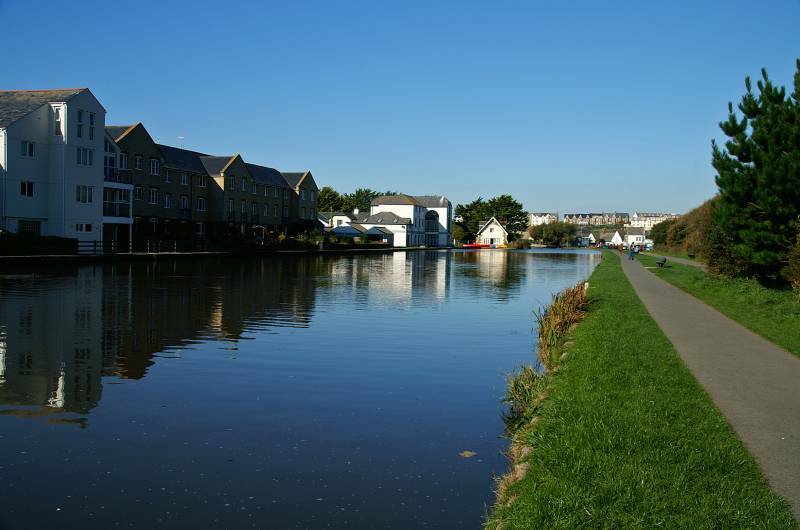 The walk back along the line of the canal was a delight, a real contrast to the airy cliff top walk earlier. 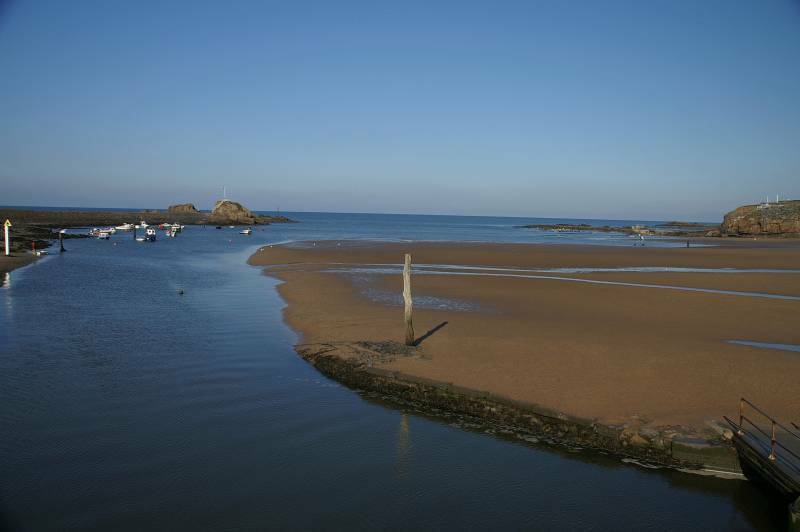 Finally the Upper Wharf Bude.